Earlier this week I touched on the subject of gratitude. I am so grateful for all that I have and all the experiences I have had in my life. I am one of the lucky ones who married early and found the one person with whom I wanted to spend the rest of my life. Unfortunately, ill-health took my husband and left me to manage and navigate the rest of my life on my own. But I am profoundly grateful that I found that one man. I am grateful for my two adult children and their four strong sons; I am grateful for the support offered by my wonderful family and friends. I could continue in this vein for pages but that would bore you. So what I am now suggesting you do is get a piece of paper and write down all the things for which you are grateful. Don’t forget to add the small things; we all have so many reasons to be grateful. Now you get the idea start compiling your own list. Don’t be surprised if this runs to around a hundred things to be grateful for. I also tell my family and my clients that you have a gratitude muscle that needs to be exercised just as the other muscles in your body. Each day take a look at your list and add anything you remember to it. Then at the end of each day write a list of the five things for which you are most grateful. And even if you have had a bad day, just persevere and you will find some things to be grateful for. This entry was posted in Growing Younger, Healthy body healthy mind and tagged active body, aging well, Family, friends, Gratitude, health, Health And Aging, Home, how to stay young, how to stay young. think young, Lifestyle. Bookmark the permalink. 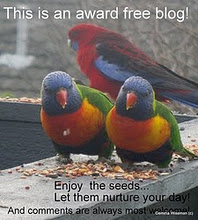 Thanks – I have just started blogging each day from march 1. And I just found the Challenge. So I will keep it up.